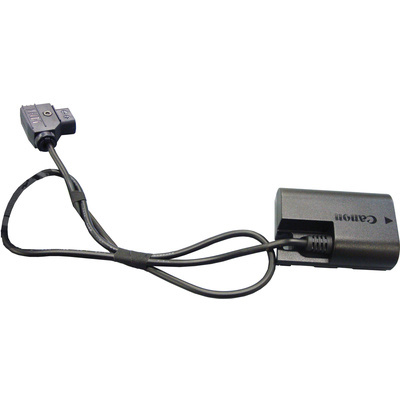 Product #18466 | SKU C-EOSC | 0.0 (no ratings yet) Thanks for your rating! A D-tap coupler cable, designed for use with Canon cameras. The IDX DC-DC Cable for Canon EOS 7D / 5D Mark II is a D-tap coupler cable available for use with Canon still cameras that have video capability. It is specifically designed for use with Canon EOS 7D and 5D Mark II. You must combine the DC-DC cable with the IDX P-V257 Endura V-Mount plate with 2-pin D-Tap DC out and Digi-View; IDX A-CA74E shoulder mount is optional.